Note: I received a free review copy of this book through Blogging for Books. The opinions stated in this review are entirely my own. Repeat readers of this blog may have noticed that I call for einkorn flour in most of my baking recipes. Einkorn is the most ancient form of wheat available today and is biologically the simplest, as it has never been hybridized--while modern wheat has six sets of chromosomes, einkorn has just two sets. Einkorn is a more nutrient-dense grain than modern wheat and can sometimes be tolerated by people who are sensitive to modern wheat, which has led to a recent resurgence of einkorn in the market. Personally, I prefer einkorn to modern wheat because of its simplicity, and have found that it produces superior results in my home baked goods. 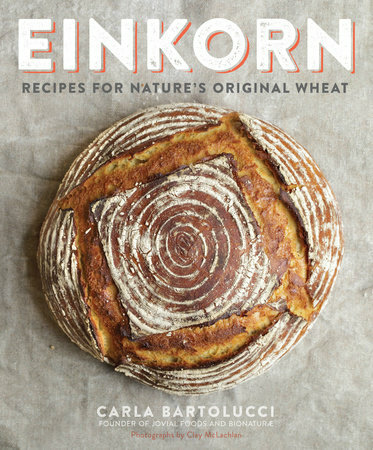 I've been buying Jovial brand organic einkorn flour since I made the switch from modern wheat flour, so I was thrilled to learn that the company's co-founder Carla Bartolucci had written an entire cookbook full of einkorn-based recipes. Einkorn does behave slightly differently in certain kinds of recipes than modern wheat does, so I thought that Einkorn: Recipes for Nature's Original Wheat would be a handy practical resource as well as a good source of culinary inspiration. The cookbook proved to be everything I had hoped for--introductory chapters detail the history of einkorn and tips for working with the grain, and are followed by sections on Breads & Crackers; Quick Breads & Breakfasts; Cookies & Cakes; Pies, Tarts, Pastries, & Pudding; and Pizza, Pasta, & Savory Main Dishes. There's a nice balance of sweet and savory recipes in the book, and while the focus is naturally on baking there is a decent selection of regular dishes as well. Other than the bread recipes, the recipes in the cookbook are predominantly suitable for lacto-ovo vegetarians, although there are a handful of vegan recipes outside the bread section and a few non-vegetarian recipes in the main dish section. 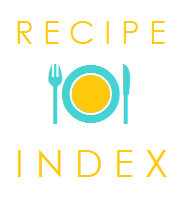 Cooks of all skill levels will find recipes to try in the book's pages, and I believe that this cookbook will prove especially useful for those who avoid modern wheat and need good, basic recipes for einkorn. FTC disclaimer: I received this book from Blogging for Books for this review.